The new AKER disc blade from Bellota is a specially-designed disc for ploughing the soil and preparing the seed bed, with excellent stubble cutting capability in all soil types. The Bellota disc blade is designed with eighteen tangential waves that produce excellent cutting capability with minimum vertical force. The number of waves and their height ensure that the ploughed strip of soil is greater than with other disc blades and consequently, the effective seeding depth is enhanced. This effect also encourages new roots to grow because they accelerate the mineralisation process of organic material around the seed. This disc blade, provides very good penetration even with severe ground conditions and is also suitable for operating with high seeding rates. 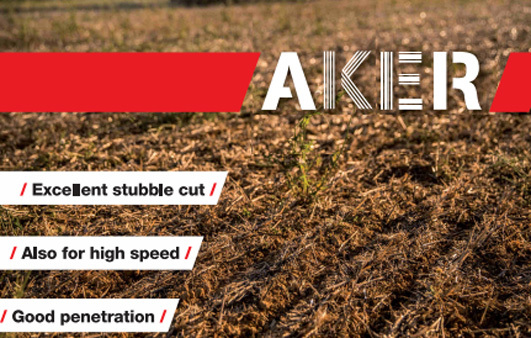 All AKER disc blade models are designed with eighteen waves for improved furrows and the central plate is 220 mm. 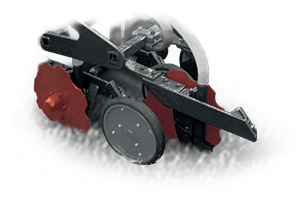 The AKER disc blade is available in the various hole-configurations for seeding hubs. Good penetration and cut with high residues. Aggressive tilling action. Suitable for working at high speed.